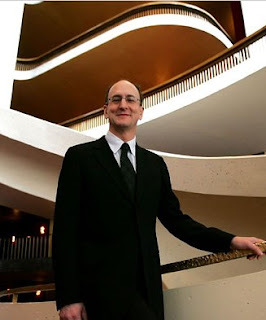 Here's a very interesting read from the New York Times about Peter Gelb's vision for and of the MET. Here are some highlights... the link to the full article is below. It’s a New Met. Get Over It. ...In his office a couple of weeks ago Mr. Gelb said the decision to open the new season this way, with a brand-new, pared-down production of an opera that was a trademark of the old Met, was “not an accident.” His self-proclaimed mission from the beginning has been to revivify an institution whose core audience he thinks is rapidly aging itself to extinction, by re-emphasizing opera’s theatricality. ...At the Met, Mr. Gelb’s style is quiet and diplomatic. His spine appears to be made of bendable zirconium, instead of the traditional steel, except that he’s such a master of detail that he almost always gets his way. He’s a tall, soft-spoken man, charming and awkward in about equal measure. During interviews you can watch him edit himself as he speaks. I encourage you to read the full article - it's an eye opening look at a man who has, what some say is, the hardest job in opera.